Why ship yours when you can use ours? 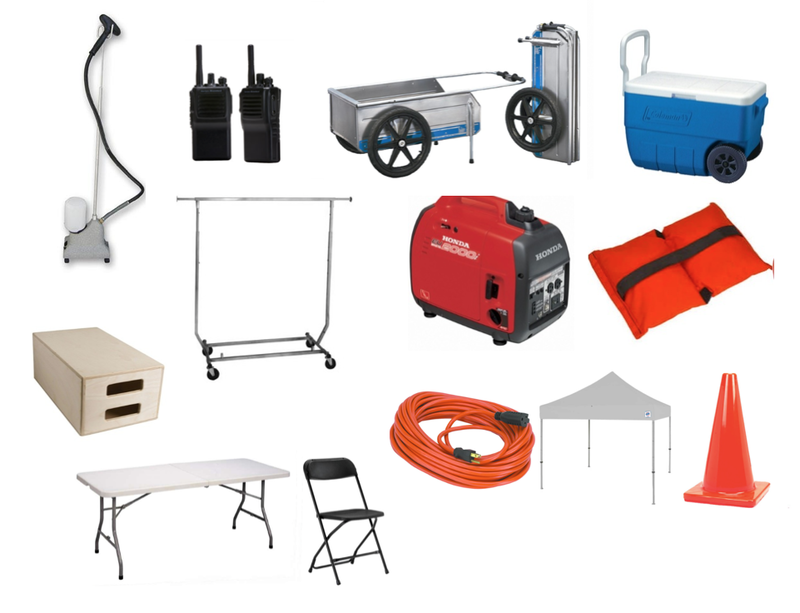 We have a variety of equipment rental needs to help accommodate your shoot, including garment racks, steamers, beach carts, generators, walkies, coolers, tables & chairs and much more. We also source pro camera and lighting and grip equipment for clients. If you need it and we don't have it, we will find it! Click here for our full rental equipment list and order form.